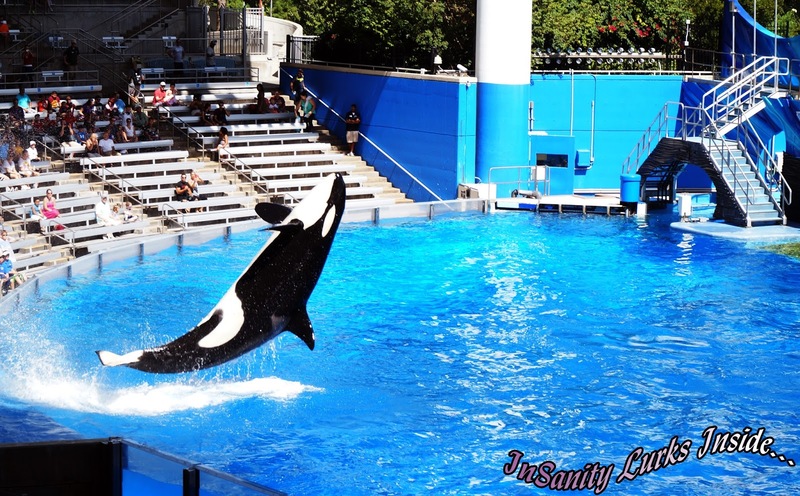 InSanity lurks Inside: Seaworld Follows the Law, PETA Doesn't Like It. Seaworld Follows the Law, PETA Doesn't Like It. Now I fully admit, I'm NOT a fan of PETA. Any organization which willingly kills animals rather than adopting them to loving homes should be beaten without mercy. However, Stupid knows no bounds and PETA has just proven how stupid they really are in their latest move against Seaworld Parks. 1. PETA bought 80 shares of Seaworld Stock when the company went public on April 19th, 2013. Why would PETA spend money on stocks for a company their trying (and failing) to shut down? What a complete waste of resources, I wonder if their supporters know about that? They currently own around $2,500 worth of stock in Seaworld Parks, not much when you think about it. 2. Seaworld is holding it's annual stockholders meeting on April 17th. At this meeting PETA wants to propose that shareholders vote to retire all the Killer Whales to "Coastal Sanctuaries". It's unlikely they'd even get a portion of the vote for this insane proposition, most people purchase stocks because they like the company and hope to make money on it. Removing the Killer Whales from Seaworld would loose money. Now, don't get your knickers in a twist about "animal rights" and "captivity". Simply look at this from the perspective of the people who own that stock. Not going to happen PETA. 3. Federal Regulation requires stockholders to have stock in a company at least One Year before they can propose proxy votes for the board. PETA, being the idiots they are, have filed against Seaworld with the U.S. Securities and Exchange Commission for following Federal Regulation. Yes, you read that correctly. Seaworld is following the law and PETA is mad about it. Their complaint will be ignored.